Explore the mystique hidden land of Inner Dolpo. With its untouched Tibetan Buddhism and Bonpo culture Walk through desolate, stunning land. Visit the magical Shey Gompa, the spiritual heart of Inner Dolpo.. 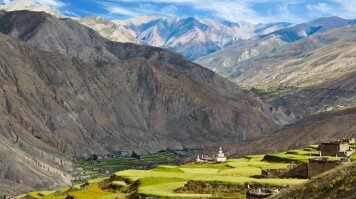 Explore the mystique hidden land of Inner Dolpo.. Hike in an isolated and less touristy region of Nepal. Visit Phoksundo Lake, the deepest lake in Nepal. 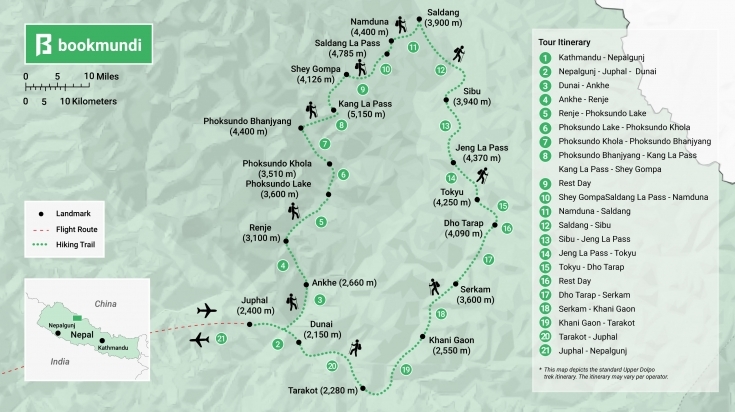 Visit world heritage sites in Kathmandu city. Crystal clear lakes and sparkling waterfalls and dense forest. Magnificent views of the Great Himalayan Peaks. 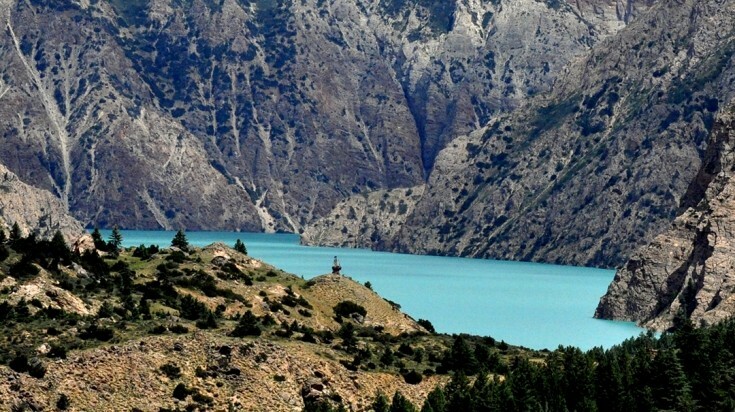 Explore the mystique hidden land of Inner Dolpo,. Tibetan Buddhism and Bonpo culture walk through desolate, stunning landscapes..
Holy Phoksundo Lake, with its enchanting blue and emerald colors. 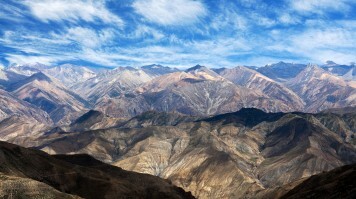 Trek through the Dolpo region on the sixth stage of the Great Himalaya Trail. Witness one of the most beautiful places in the Himalaya, Phoksumdo Lake. Cross the Jungben La (5550m) & Niwas La (5120m). Situated North East of Nepal the Dolpo area is vast and covers 15% of Nepal. Hidden away by the lofty Tibetan plateau in the North, Dhaulagiri in the East (the world’s 7th highest mountain at 8,167 m), and mountain passes to the South, this large area is one of Nepal’s hidden gems, one the Upper Dolpo Trek is definitely one of Nepal's yet to be discovered treks. The beautiful and remote Dolpo trail traverses a variety of landscapes ranging from fertile rice terraces and eye-catching mountainous terrain to barren landscapes. Highly influenced by Tibetan traditions, the Dolpo trek also introduces Tibetan style villages and Bön monasteries. 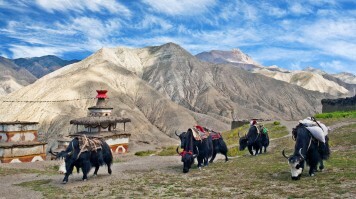 If looking for both a cultural and beautiful trekking experience, Dolpo is a great option. 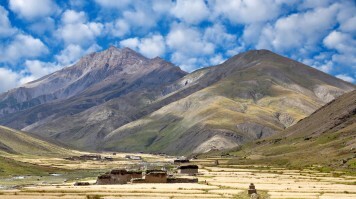 While the Dolpo trek is truly beautiful, the mystique and uniqueness of the region was probably further made known by 'The Snow Leopard', the award winning novel written by Perter Matthiesssen in 1979, not to mention 'Himalaya', the 1999 Oscar nominated movie. Being situated in the Shey Phoksundo National Park and only being opened up for tourism in 1989, the remote area of Dolpo is a must-visit for any trekkers looking for a cultural trek of a lifetime. All trekking agencies available at Bookmundi.com take safety seriously and are assessed on their safety standards after every trek, via trekkers’ feedback. The trekking agencies will therefore go through safety procedures with you during your pre-trek meeting about the Upper Dolpo trek.